Ski season has officially ended but the mountains remain in that awkward transitional state where it’s not ski season but it’s not hiking season either. Eager to start hiking though I borrowed some snowshoes from my friend Tony. Rachel and I had been talking about trips and we both wound up on the topic of snowshoeing Quandary Peak (14,265 ft). So we got a group together and made it happen! Unfortunately the day we picked did not have a great forecast showing a possibility of rain. However, the morning and the majority of the hike up was wonderful blue sky weather. The group of us, Rachel, Stephan, Kristen, Audra, and I took our time on the way up primarily due to getting adjusted to the snowshoes. 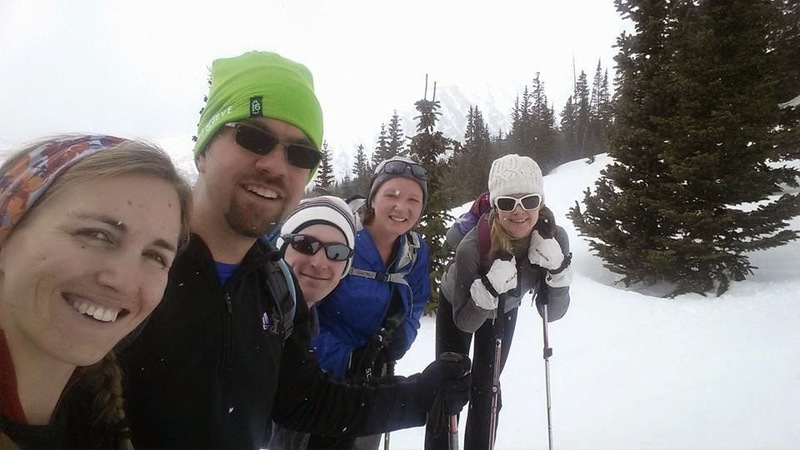 Who wouldn't hike a 14er for their very first snowshoeing adventure? We were a bit perplexed and comforted with the large mountain rescue group at the parking log heading up about the same time for a training exercise. Fortunately, weather-wise, rain didn't come. Just 4 inches of snow and 40+ mph winds resulting in a blizzard. Thirty minutes before reaching the summit the clouds billowed over the peak and engulfed the entire ridge in a whiteout. Between the wind and accumulating snow the tracks behind us disappeared within minutes. It was at that point I started asking myself if I knew what I was doing and if I was really prepared. The blowing snow with visibility less than 15 feet kept up until our descent. Thankfully as we started hiking down the wrong ridge line there was a break in the clouds allowing us to correct our direction. 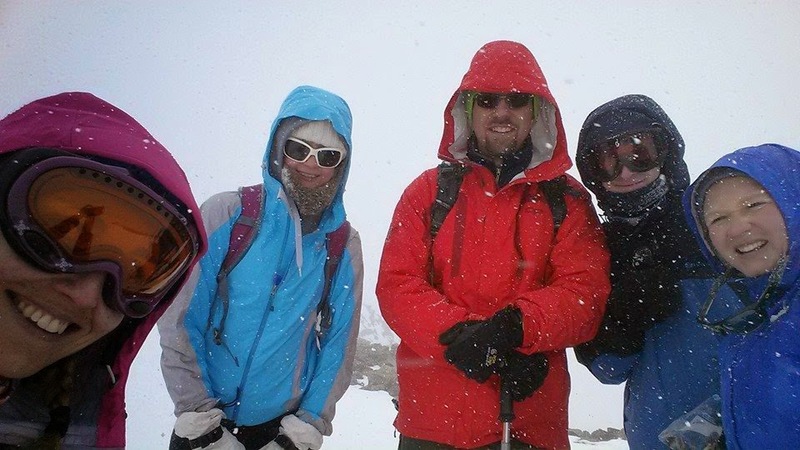 Only to pick up again with stronger wind and stinging any exposed skin with tiny ice bullets. Below the treeline the wind was eliminated and was only left with wet snow gracefully falling through the trees. The hike seemed long even though it was only 7 miles round trip. 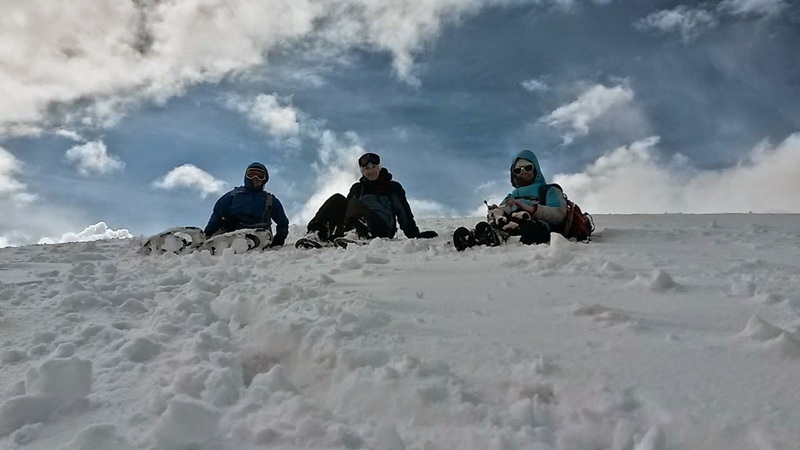 Due primarily to getting familiar with the snowshoes and the inclement weather. 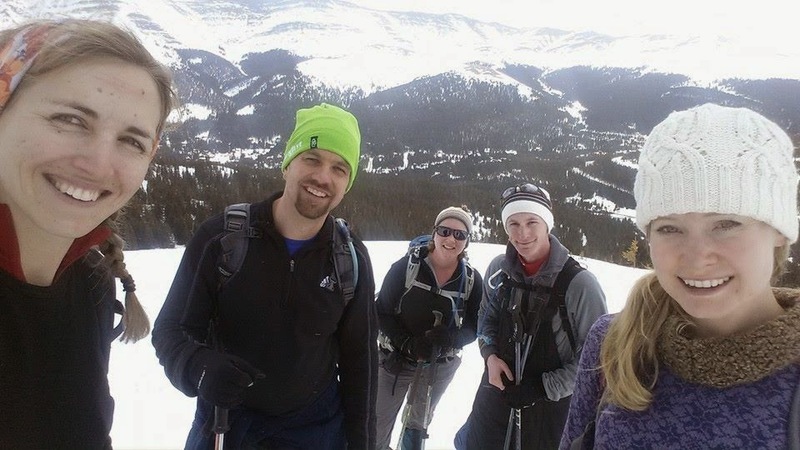 However, being my first time snowshoeing and hiking a 14er in a decade it was a success and a great time spent with friends! All of the following photos were grabbed from Rachel.